With our departure from Switzerland imminent, Tom and I were honored to be invited “down south” for an off-season tramp through the villages of Lavaux, in Canton Vaud, to explore possibilities for food and wine tourism in this special wine district. At the last minute, a croupy throat kept Tom in Basel, but I hopped a train to Lausanne. It was a day filled with good cheer and conversation, and to my delight, a lightning-fast chocolate tasting that had my taste buds traveling far beyond Swiss borders. The vineyards in Vaud stretch along the shores of Lake Geneva eastward to the Rhone Valley. The Lavaux terraces, recognized as a UNESCO World Heritage Site in 2007, encompass the area between Montreux in the east, and Lausanne. With 800 hectares under cultivation, the terraces form Switzerland’s largest contiguous vineyard area. The soil differs greatly within a space of just 15 kilometers, with clay and limestone providing nuance to the wines produced from vines grown on adjacent plots. It’s a compact world that invites exploration, and sampling of Swiss wines and local foods. In winter, the vines are asleep under a blanket of white and most tourist attractions are on mid-winter hiatus. The plunging hillsides along the lake’s northern shore are quiet, otherworldly. Even the trains–on the upper tracks, an express on the Milan-Geneva route, on the lower ones, a local zipping from Lausanne to Montreux–seem to run on “silent”. Clouds swathe the mountains beyond Lake Geneva, parting to reveal the base of the Rhone Valley and the western opening of the Alps. Cistercian monks cleared this ground in the 11th century and built vine-terraces, such as those cultivated for centuries for the domain of Dézaley Clos des Moines. The estate’s precipitous terraces are pitched at a daunting incline of 35-45%. 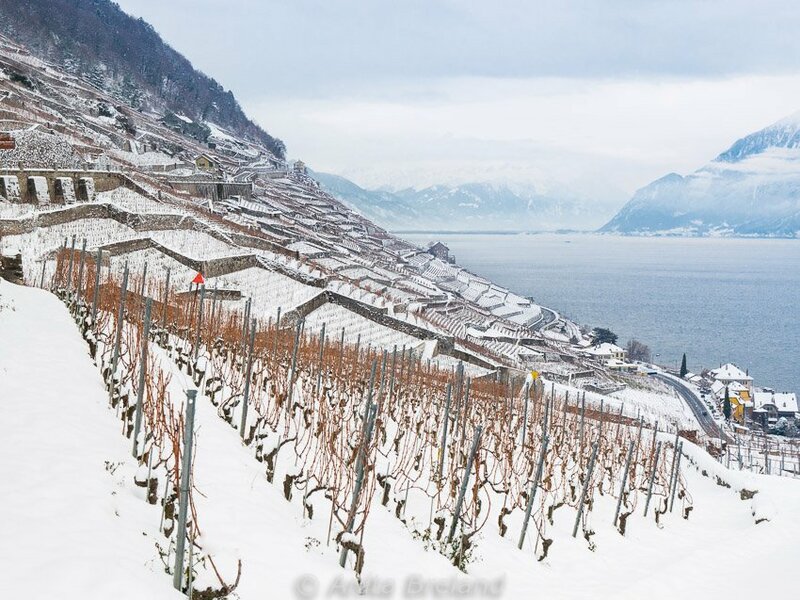 In growing season, The south-facing vineyard of this esteemed vineyard benefits from the so-called “three suns” of Lavaux (morning sun, evening sun and light reflected from the lake). From St. Saphorin, built around a Roman villa, to little Cully, Epesses, Grandvaux, Riex and Villette (Lavaux), each hamlet has a distinct character. One of them, Cully, is an excellent starting point for exploring the vineyard terraces. Arrive by train, boat or car, and enjoy Cully’s historic center with its narrow streets and picturesque winegrowers’ houses dating from the 16th to 19th century. Come in spring for the annual Cully Jazz Festival. Or come off-season, and have the pretty little village to yourself. Until 2011, the capital of the Lavaux district, the entire town of Cully is part of the Inventory of Swiss Heritage Sites. An easy walk from Cully takes you slightly uphill to the village of Epesses, through the terraced vineyards that slope down to the lake and around the curve of the Dézaley estate to St. Saphorin. 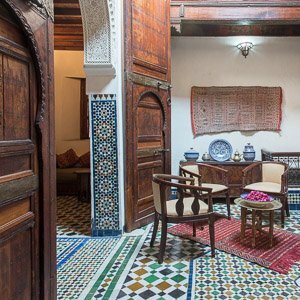 A little more than five kilometers, one and one-half hours walking with ample opportunities to stop to taste wine along the way. There are numerous options for return or onward transport from St. Saphorin. As elsewhere in the Vaud region, the white wines made in Lavaux are dominated by Chasselas, and the reds by Pinot Noir and Gamay. Chasselas originated on the shores of Lake Geneva, and continues to thrive in the high-yielding vineyards here. Chasselas wines of the Vaud region are lightly scented and refreshing, with a taste that differs beautifully and subtly across the Lavaux wine landscape. 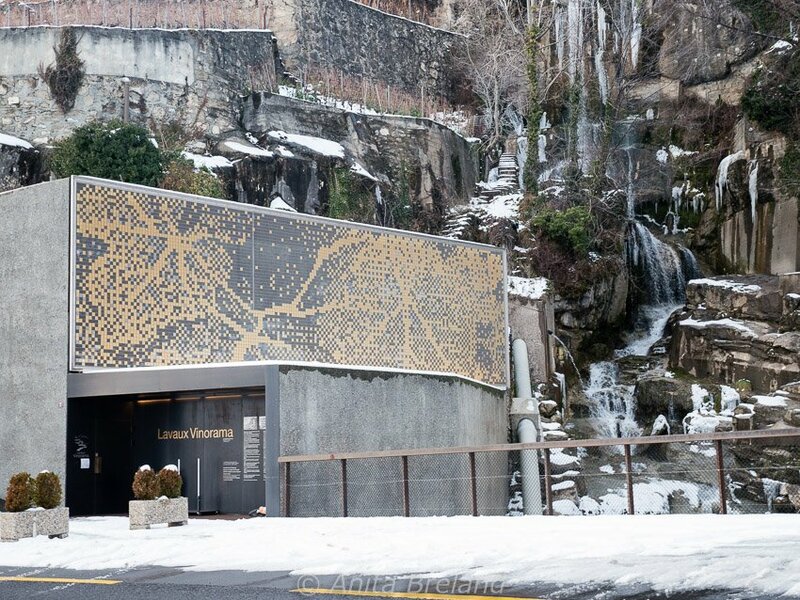 Lavaux Vinorama in Rivaz is a multilingual discovery center introducing visitors to the UNESCO World Heritage site, and offering tastings of a range of Lavaux wines. Nearby, the Conservatoire Mondial du Chasselas showcases Chasselas grapes, the most planted white grape in Switzerland. 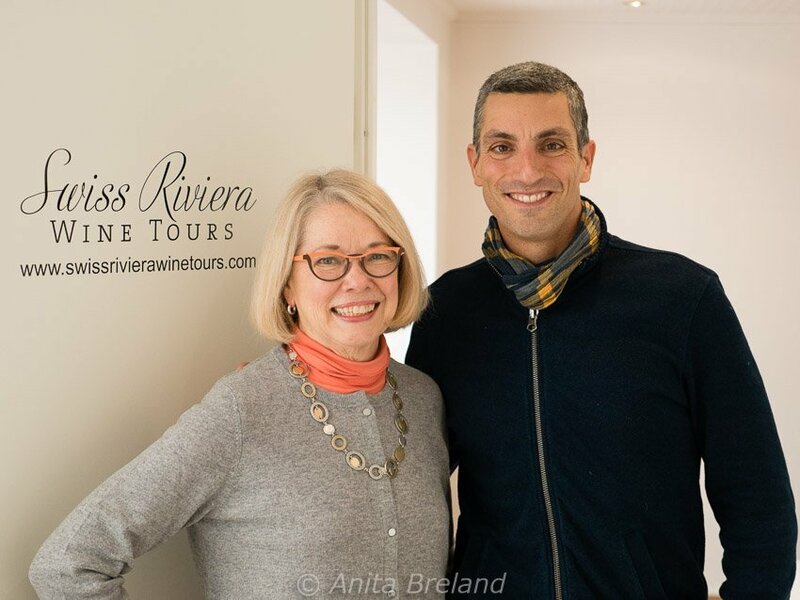 If I needed an excuse to travel in Switzerland on holiday–and I don’t require any at all!–taking a personalized wine tour in Vaud would be an excellent one. Switzerland has the most indigenous wines of any country (more than 40), and many of them are family-produced wines from Canton Vaud. What better way to experience the difference in terroir across Vaud and the Lavaux district, than to taste it, in the wine and foods of the region? For the past four years, Nicolas Abundo and his team of certified guides and wine specialists have taken individuals, small groups and business seminar participants into the castles and wine cellars of Vaud. 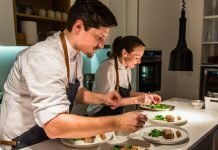 The aim is to have their guests leave with sensorial impressions of Switzerland, and indelible flavor memories of unique experiences in an unforgettable landscape. Nicolas and his crew have several innovations and new offerings in the works. Come summer and warm breezes along the terraces of Lavaux and elsewhere in the wine regions of Vaud, I look forward to tasting a few of these “least expensive bests” for myself. In Vevey, I delighted in a private session with artisanal chocolate maker Blaise Poyet. He took me through the basics of making chocolate, and how it differs from most chocolates made elsewhere. We discussed wine-and-chocolate pairings, and I received a few admonitions about what NOT to do. 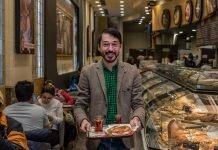 I had a chance to taste chocolates made from cacao beans sourced from three continents, as well as a few signature creations, inspired by Mr. Poyet’s travels around the world. The truffles themselves were inspirational , enlivened with the flavors of Thailand, India, Morocco and Japan. The spices of tom yum and lemongrass, chai and garam masala, M oroccan mint and pine nuts were elegant enrichments, transporting my palate to exotic lands. Stay tuned for a few “aha” moments in a future post. 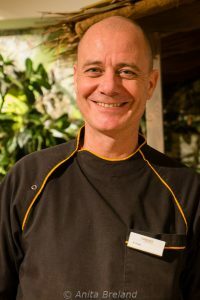 Mr. Poyet, long a fixture in the local landscape of chocolate making, now lends his passion for quality and experimentation to Confiseur Läderach, a family-owned chocolate maker with branches across Switzerland. 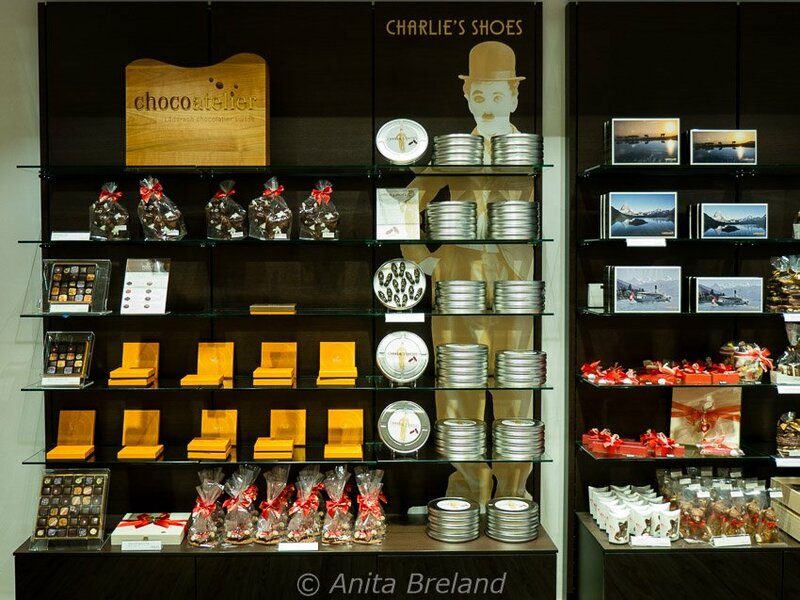 Still making chocolate in Vevey, he designs and guides bespoke workshops for groups, businesses and individuals. If my brief introduction to the world of artisanal chocolates is any indication, participants in his workshops are in for a treat! The atmospheric villages of Vaud and the Lavaux are easily accessed by boat and train, and in summer, visitors can choose to ramble the gorgeous coastal vineyards on foot or hop on the Lavaux Panoramic. If you are traveling in the Lake Geneva region and short on time, stop in at Lavaux Vinorama for a tasting and brief introduction to the wines of this special region. Good restaurants abound here, some of them with spectacular views, and several with top-notch sommeliers on hand to guide wine pairings. Swiss Fine Wine offers restaurant recommendations and an overview of top-quality wines from Switzerland’s six wine regions, including Vaud and the Lavaux. 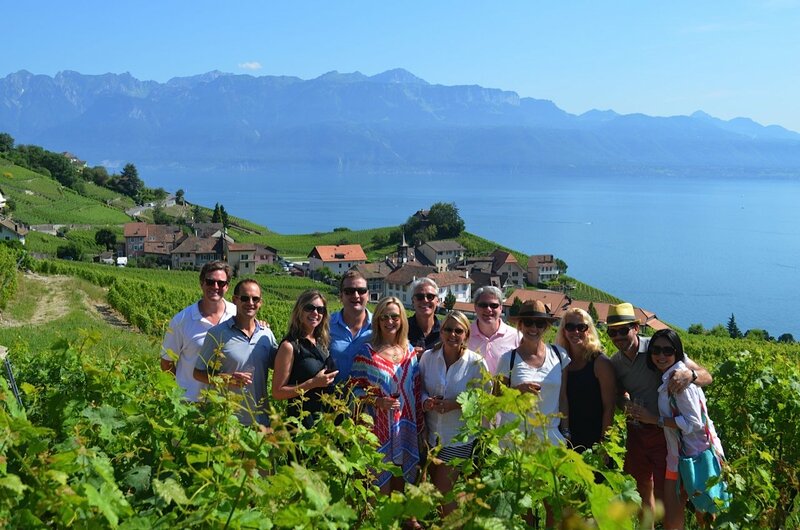 For an in-depth look at the history and wine culture of the region, see if a small-group tour or personalized itinerary from Swiss Riviera Wine Tours in Montreux might be for you. To round out your time in Vaud, consider a hands-on chocolate-making experience in a stunning lakeside setting with Blaise Poyet at Laderach Chocolatier Vevey. You will definitely learn something, and you will have a good time! I was welcomed to Canton Vaud by Jean-Francois Genoud of Swiss Fine Wine, Nicolas Abundo of Swiss Riviera Wine Tours and Blaise Poyet, master chocolate maker at Laderach Chocolatier Vevey. A big thanks to these three for showing me a side of Lavaux many travelers never get to see! Wine? Chocolate? 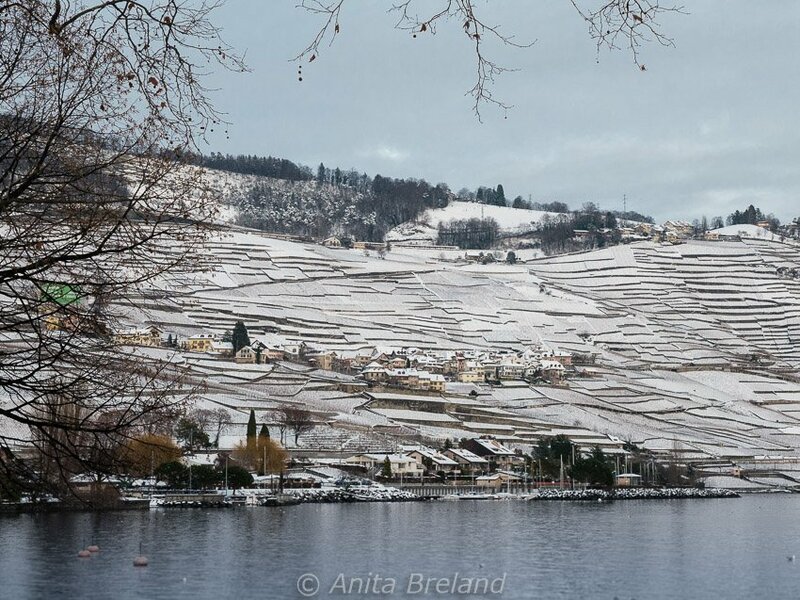 Get me to Lavaux….looks like an enchanting visit. Too bad Tom missed it. Hope he’s feeling better! Tom is all recovered now, thank you…and we are both dreaming of those wonderful Pasteis de Belem from your latest post. Yum! 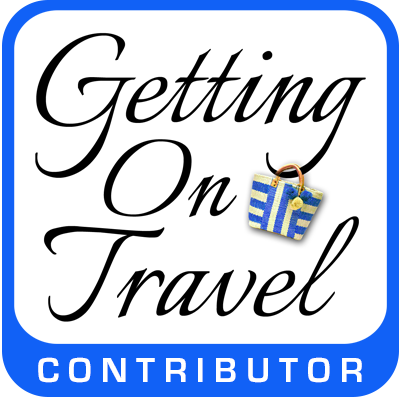 THIS is the type of travelling I like…mixing food, wine and sites! I love Switzerland and would find it much more interesting taking a wine tour like you did. (I love the mountains, but after a while, they all start to look alike!) I’m looking forward to reading more about your chocolate and wine pairings lesson, particularly what you were NOT to do. The landscape is beautiful in winter, and what better way to warm up than a glass of red wine? I agree, the starkness of the vineyards at rest is compelling. And yes, it calls for a warm-up of wine or hot chocolate, for sure! You are welcome, Heddi! 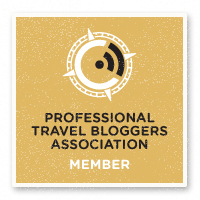 Your post was full of super information for a springtime explorer of the Lavaux, and I was happy to provide my readers with a link. And of course, will look forward to trying your recommendations when I go back. Cheers! Oh, what a lovely day this must have been. 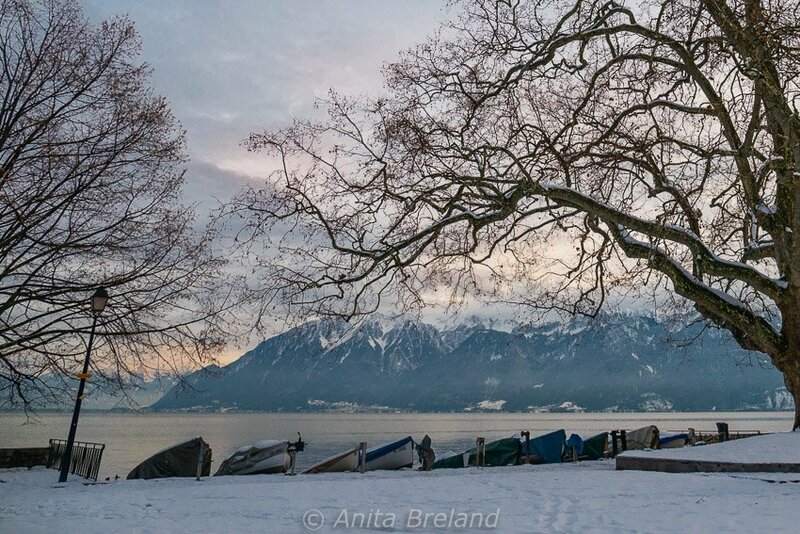 A winter excursion to Lavaux sounds like just the ticket to beat any cold weather blues. I wonder which of the wines would pair best with the chocolate. Surely one should purchase several bottles and different varieties to mathematically ensure the range of possibilities are reviewed! You look understandably happy in the photo, Anita! The countryside in and around Lavaux looks delightful! I could see visiting just for that. Wine and, especially, chocolate would just be icing on the cake! Lavaux is definitely a triple threat: nature, wine and chocolate are all first rate! Until this moment, I knew nothing about Swiss grapes and wine. Not that I didn’t drink wine when I was in Switzerland many years ago — I just didn’t know what I was drinking! Times have changed and I would love to explore Lavaux for its wines, chocolates, villages, and gorgeous scenery — some of my favorite things.